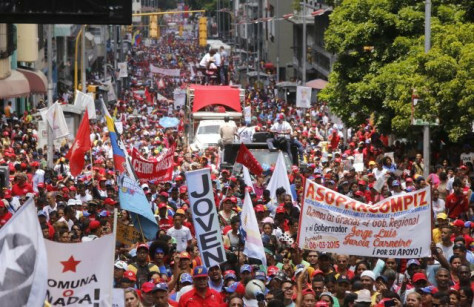 Any discussion on Venezuela is likely to end in fisticuffs. On one side we have the US and neoliberal forces conspiring together with a repressed middle class and the old ruling class in every conceivable way to destroy a state socialist revolution, which may be corrupt, inept and brutal but guarantees basic health, education, housing, food and a vision of social revolution to the great majority of people..
24 Jan, 2019 13:17 You could scour the bowels of US imperial crimes, from the Mexican-American War to the Gulf of Tonkin in Vietnam, and you won’t find a more brazen cynical act of gangsterism than that which is now underway against Venezuela. 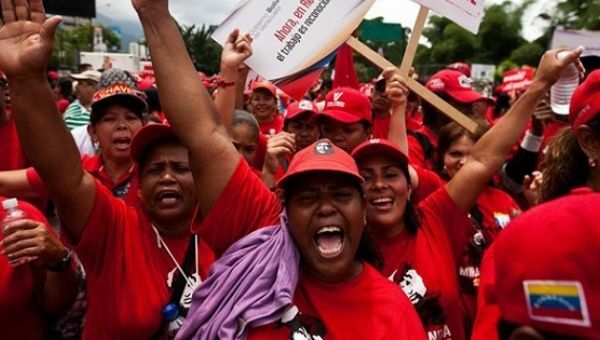 ‘This Fight Is Ours’: Venezuela Women March Against Imperialism. The have-nots, workers, unemployed, women, indigenous, blacks … still support the government. 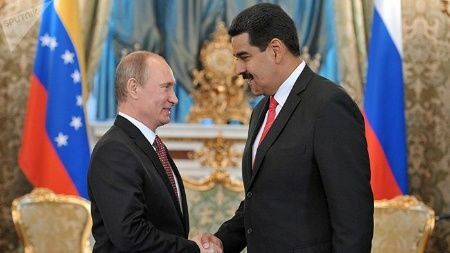 This is not about Maduro, the former bus driver-turned-foreign minister who is now the elected president of Venezuela. If it were, I’d waste my time critiquing his period in office. 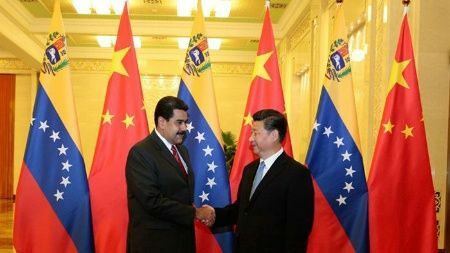 It’s not about Maduro because the US had been seeking to overthrow his predecessor Hugo Chavez for more than a decade before this. Even though Chavez was one of the most electorally successful politicians on the planet in a democratic process described by former US president Jimmy Carter as “the best in the world,” US presidents Bush, Obama and Trump routinely called him a dictator. 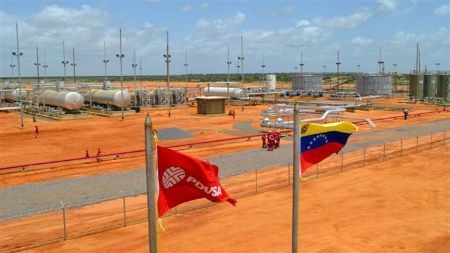 After 18 years of subversion, infiltration, coercion, bribery and a constant blitz of fake news the US is pushing Venezuela into a horrific civil war in order to take control of its oil. Before they drop the bombs, they drop the narrative, of course. 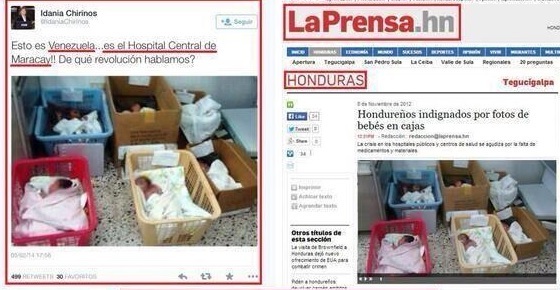 And the disinformation bombardment in Venezuela has been one of the longest bombing runs in history. 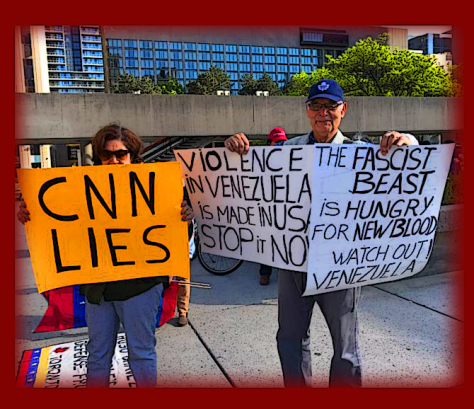 Massive sums of US money have been spent on media distortion, subversion, sabotage, military coups, and threats of invasion throughout the Chavez-Maduro era. 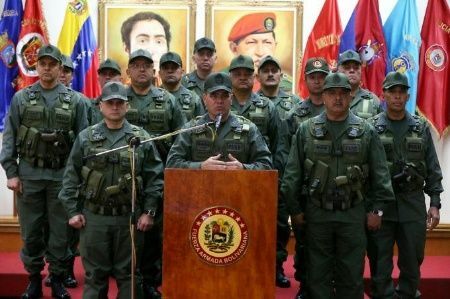 Is Maduro a dictator? By whose standards? Remember how we were fooled by the blitz of fake news into condemning Gaddafi, so they could destroy the best welfare state in Africa, leaving him raped and murdered in the street and the country in horrific chaos to this day. Remember the mega-lying witch hunt against Saddam..Why? To steal rights over their oil. 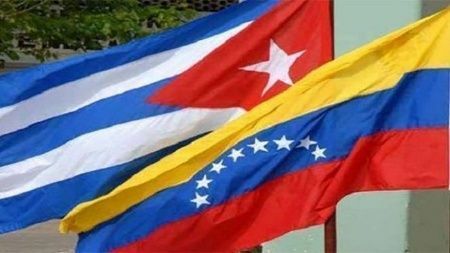 The gold-toothed Venezuelan emigres who fled to Miami with their ill-gotten gains have long been effectively a coup in the making. The recruitment of neighboring Colombia into “associate membership” of NATO, the propeling of Brazil’s Bolsonaro (another NATO applicant) to power, and plans for US military bases there have all been in preparation for this day. 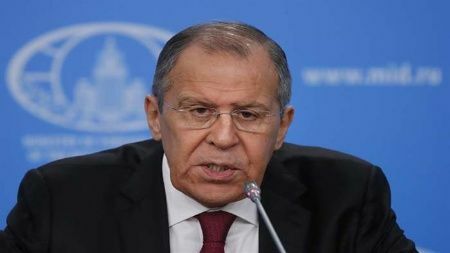 All the “experts” on Syria, Ukraine and Russia are scrambling to studios, practicing in the taxi how to say his name. 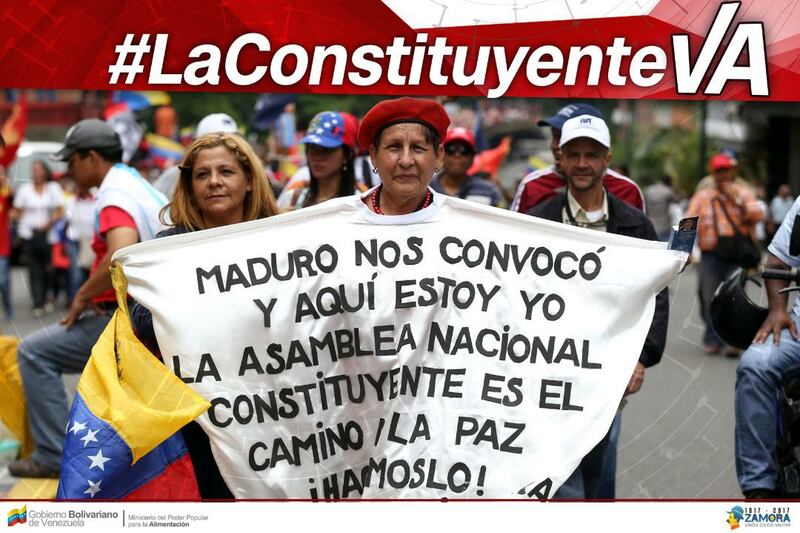 And the “international community” recognizes Juan Guaido. This includes US, Canada and assorted American satrapies across the world. They will likely soon be joined by the so-called democratic European Union, NATO and almost certainly the UK. It is a new form, to be sure – usually the hated Latin American presidents are dead, like Allende in Chile, or have fled or been jailed before the coup de grace is delivered. As investigations come ever closer to the Trump syndicate, as the clock ticks towards impeachment or defeat in 2020, as the war-cell of Bolton and company screech for a victory, somewhere, anywhere, it has come to this. It is a “Wag the Dog” war, and it’s coming to your screens soon – today in fact. ”The rich want lower taxes, and ending social programs for the have-nots, and they want the privatization of vital government enterprises so that they can loot the country, as is happening right now in Brazil. And most of all, they want the privatization of the oil in their hands. They want to be billionaire oligarchs just like oligarchs in other oil-rich countries”. The have-nots, workers, unemployed, women, indigenous, blacks … still support the government. They want the government to keep control of the oil for the benefit of the people, the have-nots. They are in the streets too, they are supporting the government, and they are being violently attacked by the hoodlums of the haves and the mercenaries for the U.S. Empire”. Next Next post: MidCat/STEP gas pipeline between France and Spain was just cancelled!